That is what I thought of when I woke up this morning. I haven’t sung that song in ages, but those were the words I thought of. It’s always hard to wake up and realize that it’s still true. It wasn’t a nightmare. To feel that heaviness in my heart, that ache. To look at my sweet two year old next to me (he sleeps with me) and realize he won’t know him as he grows up. It’s going to be a struggle. The struggle of my life to figure out what to do with that hole in my life that just can’t be filled. The broken heart that can’t be healed. Yet morning by morning new mercies I see. I can get out of bed in the morning. That’s a real plus. I can put one foot in front of the other. I can breathe. I have had people blessing me in every way possible. Just bathing us in their love and prayers. I have somehow been able to laugh. The picture of my son trying to ride piggy back on his friend Christian. Just try to picture a 6 foot 4, 195 boy (well he was kind of a man) attempting to ride on the back of his, well, quite a bit smaller friend. Cracks me up. So many things have brought me joy, and I think that’s Lucas. That’s exactly what he would want and he’s sending me from heaven. We would always joke about how he wasn’t funny. Like, he would try to be but it wouldn’t exactly work. It was funny that he tried to be funny and couldn’t be funny. Yet he laughed. a lot. I have been able to answer a question that I have had running through my head. The saying is, “everything happens for a reason.” Well that just didn’t sit right with me. Not a bit. No not my son dying. Well I decided that is not true. Its not everything happens for a reason, its God can take any situation and use it for his glory. He can take any horrific occurense and use it to reveal himself. To show us salvation, love, grace, and mercy. I understand your questioning that phrase “Everything happens for a reason”. This is used to try to comfort and help ones to get through. 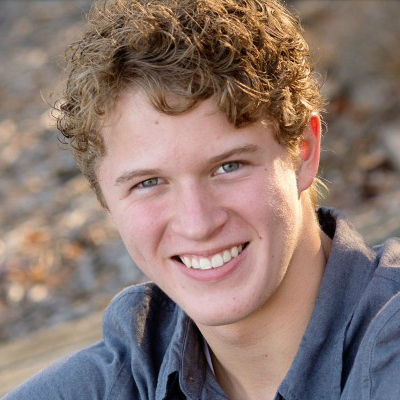 If you knew how many in our community have been touched by Lucas’s death…it would overwhelm your family. We are crying with every word you write. We are hugging our children a little tighter. We are praying harder. We are wondering what we can do to lessen all of your pain. We are here. ❤️You’re writing is so touching. You have a real gift and I’m glad your sharing it with us!!! Continuing to pray for strength for you and your family. Thank you for baring your soul and sharing your heart. I believe this is not only healing for you, but also, your words are touching and helping others. I Think God is giving you songs to help you through each day. The words and music to listen to are comforting. You might find it therapeutic to sit at the piano and just play your heart out. So many prayers for you and your family. Your strength and your faith are indescribably beautiful. Thank you for sharing both of those things and all that lies between. God bless you. Has anyone else noticed that every day since this tragedy happened, that the sun has shone! Maybe not for very long but but very bright every day! I did not know Lucas personally, but from hearing and reading everything about him and the way he lived his life I truly see the sun as Lucas! Today I was walking into target and felt the warmth on my face, looked up and said, “thank you Lucas”! Melissa- Your strength and your grace are profound. I am finding my own healing and comfort in your words. I lost my baby boy many years ago and he would have turned 18 tomorrow. I believe what you say is true. God uses horrible events to grow us but I do not believe that He orchestrates pain. Because I have years of tears behind me, one thing I can tell you about this struggle is you will touch others in a new way. Of course it is not something we wish or want. However, it is a gift from God to know the pain of others and be able to help. Thank you for your honesty during this anguish. I pray that the comfort of God wraps you in peace. I find myself thinking about you all day…wondering how you’re holding up in the moment and then turning those thoughts into prayers. Through your writings I hear so loudy that God is good. Despite all your heartache your attitude is so positive and filled with hope, it’s wonderful. Your testimony is powerful and changing, for the better how MANY of us look at life and others. I feel blessed and priviledged to be able to read these accounts of Lucas’s and your life. Beautifully said, Melissa. I agree, there cannot be a reason why this happened, but that God will somehow take this terrible, awful thing and turn it into something beautiful, for His purpose. It is still just a small comfort for you in the wake of this humongous loss, though. You remain on my mind, on my heart, and in my prayers. I am moved by your words Melissa. You have a gift with expressing your feelings and I sincerely thank you for sharing them with all of us. Your views on “everything happens for a reason” was especially powerful. It seems like such a man made expression, so I really loved how you gave it a higher, God-like, meaning. I am trying to do my part in not letting his death be in vain in the best way I know how… not taking my children for granted and basically thanking God for every precious moment here on earth. I’ll keep praying for you and your family. God bless. Melissa, you are so strong! You are right when you said no parent should ever, ever, ever have to bury their child. I want to thank you for your courage in sharing your words with all of us. Most of us take life for granted. Heck, most of us take tomorrow for granted. Just by looking at Lucas, anyone can see what an angel he is. I’m being serious when I say he looks like an angel. He was lucky to have you, and you were lucky to have him. Remember that special bond that you have. Nothing can ever take that away. Lucas will be always be in your heart, your mind, and your soul. He will continue to walk by your side…always! God bless you and your beautiful family during this most difficult time. My family and I will continue to keep you all in our thoughts and prayers. I am blessed by your blog, expressing so eloquently your journey. Living in a broken world we experience so many tragic events. But praise be to God that He does use them to show us His love, grace, and mercy. Teaching lessons on life through it all. Love and peace to you and your family. Love the changes to your blog. What a great picture too. Praying for you and your family this Lord’s Day. First off I want to say how sorry I am that you have to live with the loss of a child. I work at Pediatric Partners with Dr. Shauna Baker and we are so sorry to hear the news. On the other hand I rejoice! Rejoice that you know God. Rejoice that Lucas knew God. Just think of what he is seeing right now! I rejoice that you understand that God had this happen only for his honor and glory. If the death of Lucas will bring a family member, friend, stranger to God, and they see how empty this world is, full of sin, and are able to turn to Christ as the only true Savior. That is how God works. My oldest child is the same age as Lucas. I cannot even pretend to know how you feel or what you are going thru, all i know if I loose a child before I have to go, I will never be the same. God does know how you feel, he also had his son die for all sinners, for you and me. I pray God will uphold you every day, for the rest of your life, until you are reunited with your oldest child in heaven.